Smile your way into everyone’s heart! A beautiful gentle smile is the key to unlock any heart. Let it be yours. Soft tender lips enrich your smile. Nurture them with the soothing hydrating effect of Wine Grapefruit Lip Balm. A promising balm from Khadi Organique, it gives a sensuous experience that invigorates and refreshes your lips. 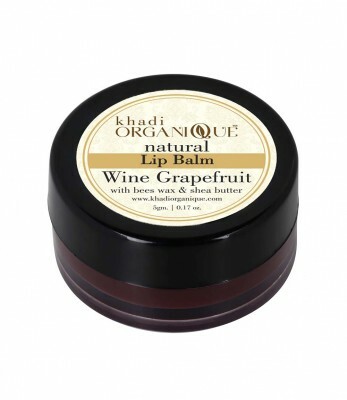 Grape Fruit Extract and Wine make the Lip Balm intoxicatingly nourishing. 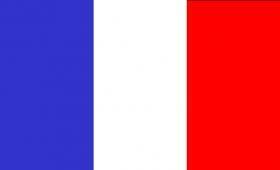 The delicious enchanting aroma calms the senses. Repairing and filling the cracks, this ultra nourishing lip balm has a rejuvenating healing effect. Pamper your lovely lips with this fruity lip balm and enjoy soft supple lips "
" Grape seed Extract, Grape fruit Extract, Wine aroma, Avocado Oil, Vegetable Oil, Jojoba Oil, Glycerin, Wheat germ Oil, Almond Oil, Carrot Seed Oil, Vitamin E Oil, Aloe Vera, Beeswax, Cocoa Butter, Kokum Butter, Shea Butter, Fragrance, Color "